I forgot to mention this yesterday, but the outpouring of love for the Craig podcast has been unbelievable. A lot of you have written me personally, and I shared them with Craig because he needed to hear it. Craig told me he appreciates all the support, and he had a lot of people come out of the woodwork to him and express their sentiments towards his story, not to mention people who’ve opened up to him and are willing to get help now. I knew it’d be a powerful story, not only because of the way Craig has dealt with it, but because how open he was in describing just exactly what he went through. To admit it’s not an easy road and every day is a struggle, but he knows where he’ll end up if he ever goes back down that road again, that’s not easy to admit. The guy has been through hell as you could probably imagine and I know I’m pulling for him as a lot of you are as well. You’re never truly out of the woods with an addiction like that, but knowing Craig has taken every step to beat it back by moving away from the crowd he hung with, continuing to be around people who support him, all while getting his life back on track, he’s doing everything you should be doing to maintain sobriety. I wish him the best as I’m sure a lot of you do as well. Thanks for all the kind words and Craig thanks you too. Ratings are in from last night and the “Bachelor” held steady from week 4. Although if you read Robert Mills’ tweet, followed by Colton’s lap dog response, you’d think they were once again the #1 show of the night. In 18-49 demo, yes, the “Bachelor” was the highest rated show on Monday. But was it the most watched show? No. Three other shows had more viewers watching. So yeah, they know what they’re doing when they release those tweets. Most people equate “#1 show of the night” to “most watched show,” and that’s just not the case. But for their demo and their advertisers, drawing a 1.8 rating and leading the night is big for them. So I guess props to them for puffing their chest out while withholding a bit of the truth behind their tweets. …then yeah, Episode 10 on Monday, March 11th is your finale, and instead of it starting with the show down to 2 women and Colton making his choice, the “finale” this season will be the start of the overnight dates with Tayshia, Cassie, and Hannah G. and we’ll see how it all plays out. Will they end Monday night’s finale with Colton’s fence jump and have the audience thinking he ends up with no one? I guess we’ll see, but that’s certainly on the table. If that’s the case, then Tuesday night’s live ATFR will pick up with them “finding” Colton, him letting Hannah G. and Tayshia go, the footage of him “chasing” Cassie down in CA, then bringing those involved out to talk about what happened. If I was producing the show, and now knowing this is a 2 night finale, that’s how I would tease the audience. But I’m not a producer, so I have no idea if that’s how they’re gonna do it. UPDATE: ABC released something yesterday that I missed. They’re going to air the Fantasy Suites on March 4, and “Women Tell All” on Tuesday March 5th. Which means they are reeeeeeallllly gonna stretch out that Fantasy Suites episode as it will no doubt bleed over into the finale on the 11th. It has to. Man, they’re somehow going to squeeze out 4 hours of Fantasy Suites footage on the 4th and then the 11th in the finale, when they have no Fantasy Suite rose ceremony, no final 2 meeting parents, no final 2 getting a last date, no date with Neil Lane, and no final rose ceremony. Should be interesting. I’m posting this here so no words can be misconstrued. As many know, my ex girlfriend is currently a contestant on the tv show The Bachelor. The both of us have also appeared on a documentary series called Young Once. The show catches you up on our lives as the first season was shot at Biola University while we were still going to school there. They happened to catch the closing of mine and Cassie’s on and off relationship during the recording of this show. 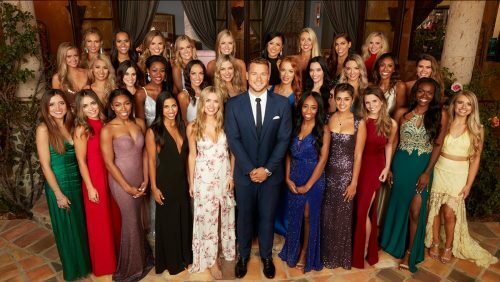 Make no mistake that Young Once was filmed before The Bachelor, and the fact that they are airing at the same time is a strategy to attract viewers. Both Cassie and I made mistakes in our relationship, but I think we’d both agree it dragged out much too long anyways. This is because I persistently pursued a reunion and she knowingly kept the door open at times because of indecisiveness, neither of which matters because it has been over for good since before she went on The Bachelor. However, it can be said without a doubt that her and I were not a fit for each other. Also, I’m sure there are millions of breakups that have lasted longer than they should have and nobody should be held at fault for that. The reality of the situation is that Cassie is a great girl. Her decision to go on The Bachelor was a decisive moment in my life to move forward so why couldn’t it serve as that for her as well? If I met my dream girl a month after our final closing this summer that would just be how God had it planned for me. Nobody has the right to tell her whether or not she has good intentions. So although the full truth may not be out…not everybody’s business needs to be on reality tv. Cassie will eventually explain her side and I endorse whatever she says because there is no reason for her to hide the truth. I wish her nothing but success and happiness moving forward. I post this because of the outlets who reached out to hear “my side” and because I heard Cassie was receiving a lot of negativity for our past relationship. I thought this would be the best way to preserve the truth and encourage the trolls to check themselves before tearing down a good human being. Life is about moving forward, not dwelling on the past ? I can see what’s going on here. I’m glad the guy came out and said something because God knows I’ve been trying to get a hold of him for a quote. He definitely showed some restraint but reading between the lines here, I’m pretty sure there was a reason he put “her indecisiveness” and “although the full truth may not be out” in there. That wasn’t by accident. But getting the response I did yesterday, I felt like people didn’t read what I wrote yesterday. At no point did I ever say Cassie and Caelan were a couple. In fact, I specifically said the opposite. I told you the end of “Young Once” doesn’t show them together. Nor did I say anything that should’ve led anyone to believe this show overlapped with the “Bachelor.” I reported the facts. The facts are that she finished filming this show two weeks before she left to film the “Bachelor,” and at no point during filming was it discussed that she was going on the “Bachelor.” To me, that’s shady. That should’ve been mentioned if I were her. And if you can’t see that, and can’t put her in the same boat as a lot of these contestants, then you have blinders on and you’re being biased because you like her. Just call it what it is. She went on back-to-back TV shows to build her brand. Doesn’t make her a horrible person. But it’s not the greatest look either and we’re allowed to question her motives.